Document Notes: Cmdr. 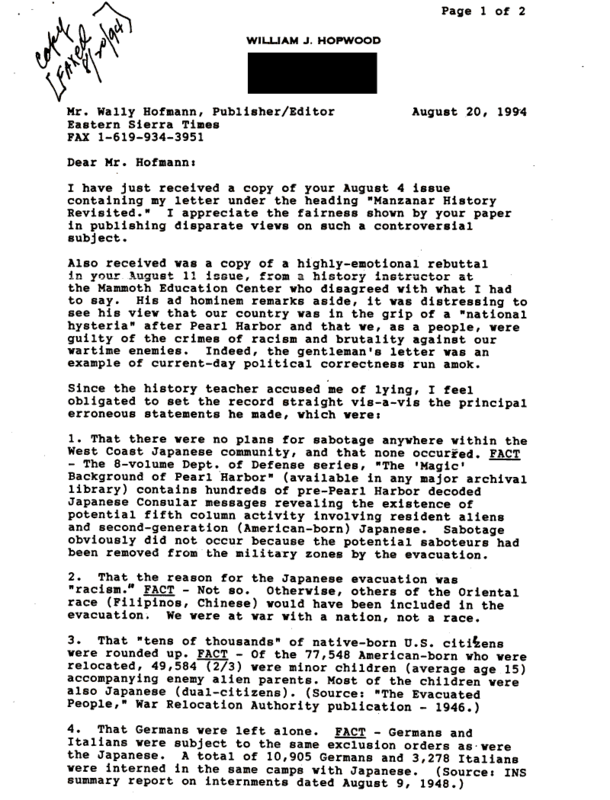 Hopwood, one of the country\'s top experts on the Japanese evacuation, responds to a few of the many errors in a newspaper account of the evacuation. The article related the falsified and approved version of evacuation. Comdr. Hopwood responds with facts.